Jaw, meet floor. 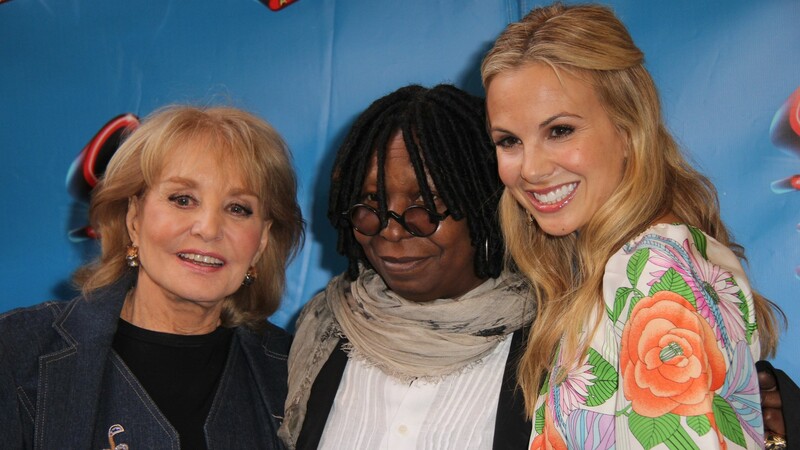 That’s exactly what will happen when you listen to newly-released audio of The View‘s Elisabeth Hasselbeck almost quitting because of Barbara Walters following a heated on-air discussion back in 2013. The audio has made its way to Variety, who notes that this audio is evidence of the incident as it’s detailed in the upcoming book Ladies Who Punch: The Explosive Inside Story of ‘The View’ by Ramin Setoodeh. Even though this book is likely well worth a read, it’s the actual audio from this particular incident that is so mind-bogglingly candid, raw and heated that you will simultaneously believe and not believe that it happened on the set of The View. This incident and the audio that accompanies it is just one of the many stories being teased from Setoodeh’s upcoming book, including earlier coverage on stories like former The View cohost Rosie O’Donnell revealing she had a crush on Hasselbeck and the revelation that Walters had reservations about Gayle King joining the show because she believed Oprah Winfrey would somehow interfere with her vision. With all this in mind, we have to think that this incident between Walters and Hasselbeck just might be the juiciest story from the book if only because the supplementary audio is dramatic as hell. As all of this is happening (during a two-minute commercial break, remember, so the speed at which this is all taking place is truly wild), one producer finds Hasselbeck in her dressing room as she says, “I quit. I’m quitting,” which leads the producer to walk her back to set and trying to ensure she goes back on the air to finish the episode. Hasselbeck eventually agrees, with the reporter sympathizing with her. As Hasselbeck makes her way back to the set, Variety’s video returns to the live version of the episode, showing Walters and Hasselbeck playing nice and pretending all is good. Hasselbeck was eventually fired from The View shortly after this episode, in March 2013. This audio only seems to confirm that things were not at all amicable between Walters and Hasselbeck. What we will say is that we can understand Hasselbeck’s reasons for wanting to walk away and for reacting the way she did, and this audio supports that, too.